Let’s start with basic truths – gambling is fun. It’s also risky if you don’t know how to make a gambling budget. You can lose untold money if you don’t first limit how much you’re going to play with. And let’s face it – from time to time, you might lose money, in much the same way as you might occasionally book a holiday that turns out to be a complete disappointment. Things don’t always go right. But when they don’t, you can write it off and start again – provided you’re smart about how you take care of your money. So, a few tips. The first thing to remember is that everything – EVERYTHING – comes before gambling. That means your rent/mortgage, your bills, anything at all that you have to pay as a part of mandatory life. Gambling, like travel, is a luxury. And you need luxuries! They’re where all the fun comes into life. But first you have to take care of the housekeeping. This is always true, without exception. It’s easy to think that gambling is the most convenient and accessible way to generate money you don’t have, but it’s not. It’s the easiest way to lose money you don’t have. It sounds basic. It is basic. If you can’t understand this law (and it is a law, not a rule, unless you have incredible wealth) then you probably shouldn’t be gambling in the first place. Next, let’s think of your other hobbies, i.e. the other things you like to spend a bit of money on. Shopping? Fishing? Everything costs. The best way to appreciate this is to make a budget and to prioritise. Weigh up how much each of your activities means to you and the good it does you. Sure, there are expenses you can afford to ditch: a gym membership you never use and don’t want to use, a pair of shoes to add to the thirty-plus already on the rack. But if an activity is meaningful to you, don’t give it up for the sake of having money to spend on gambling. Create separate accounts for separate investments. You can have a savings account for holidays and travel that you put a certain amount of money into each month, and likewise, you can have an account which you put only a certain amount of money into each month for the online casino. Another recommendation would be to keep any winnings separate from the money you allocate to your gambling budget, i.e. not to withdraw into the account you use to deposit. This means that you can keep track more easily of how much you’re winning or losing, and in the event of making a bundle, the money goes to a place where it’s not going to go straight back into the slots. A few more worthwhile online gambling tips are that you shouldn’t play games that you don’t fully understand (however juicy the potential payouts look), and that you should keep an eye on which games you tend to lose the most money on – if a game is a sinkhole, maybe ditch it altogether. Also that you should never, ever borrow money for gambling (from anyone, be it a bank or a friend), and that you should keep well away from alcohol while you’re playing the slots. Caution is a must and however smoothly a quick tipple goes down when you’re winning, alcohol lowers inhibitions and makes it far easier to keep going when you really need to stop. Inhibitions are your best friend when gambling. Inhibitions are what make gambling into something you can enjoy regularly over a long period of time, and they actually increase your chances of a big win someday. Remember, you have to be in it to win it! 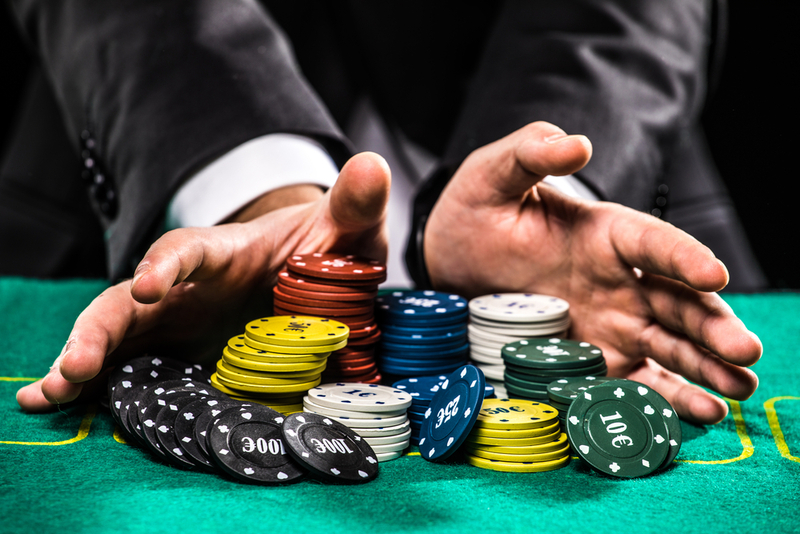 Online casinos are a wonderful buzz if you play responsibly. So first things first: get those bills paid, buy your groceries, get your separate accounts in order, set aside what you need for holidays. Take a reasonably small portion of what you have left over and you’re now ready to gamble on a budget. Enjoy, and don’t spend it all at once!